Vietnam is famous for the rich of nature and culture as well as hospitable people. Coming to Vietnam, both domestic and international tourists will have so many things to do and stunning and magnificent places to explore and admire. From the ancient and pristine beauty of Hanoi - the capital of the country to the bustle and hustle of Ho Chi Minh City, from the blue and white sand beaches of Da Nang to the immense fruit gardens and bustling floating markets in Can Tho, and so on, all of these contribute to make Vietnam one of the most wonderful and worth countries in the South East Asia to travel and experience. Just come and enjoy the fascinating and exciting things in each destination in Vietnam that you never have reached before. Embark on our 5-day golf journey and enjoy your ultimate golf experience in Hanoi. The tour includes 4 nights at a boutique hotel which is located in the heart of Hanoi Old Quarters and 3 rounds of golf at different courses - Scenic and challenging! 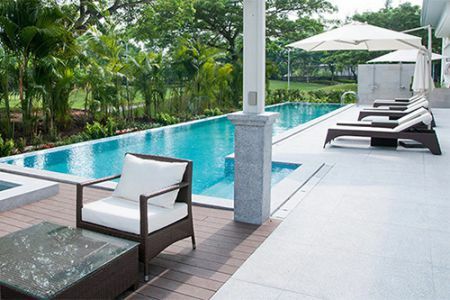 Book now and save up with our 5-day Hanoi golf package. Hanoi is a city with elegant charms in its soul where you will meet very friendly people, savor delicious street food and golf courses are absolutely great too. 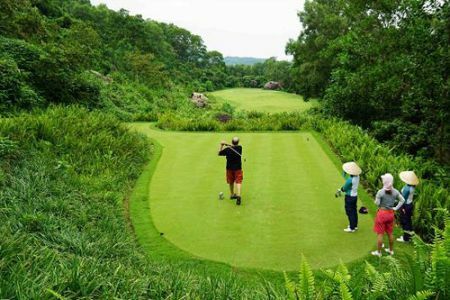 On this 6-day exclusive golf tours to Hanoi, you will spend 3 nights and play 2 games at Hanoi's finest and exclusive courses and next to travel to Ninh Binh and spend a wonderful day golfing and exploring the lush vegetation, rivers, lakes and limestone mountains of the “Inland Ha Long Bay”. 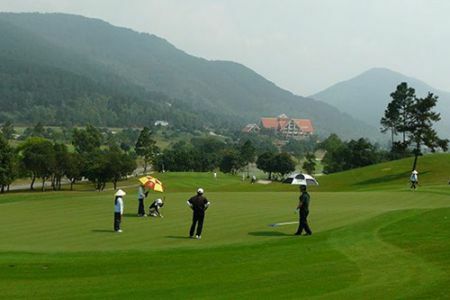 Explore Northern Vietnam and the Red Delta River through our 14-day interesting golf holiday. The tour features 4 different golf destinations in North of Vietnam covering Hanoi, Ninh Binh, Hai Phong city and Halong Bay. You will play very best and scenic golf courses in these places with great joys. Book it now and save up. 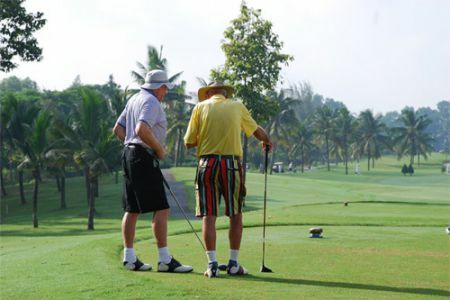 Explore Phu Quoc Island golf holidays and discover the best time and places to play golf. 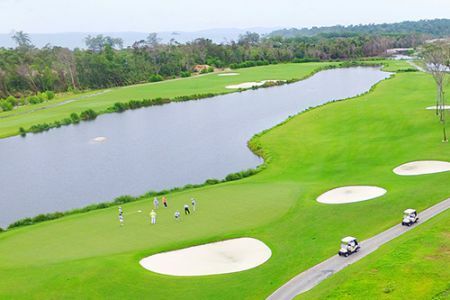 Our Phu Quoc stay and play golf vacation packages include 2 nights at luxury 5 star Vinpearl Phu Quoc resort and you will also have a great opportunity to enjoy 2 rounds of golf at the country's scenic golf course that set amidst the unspoiled woodland park. Golf in Hai Phong and famous Halong Bay will be easier for you if you book this golf package with us. This tour includes 2 night stay in Hai Phong, 100 km from Hanoi to the East and one-night at the famous city of Halong Bay. You will play two rounds at very beautiful courses which are set amongst Hai Phong and Halong Bay's most gorgeous scenery. Welcome to Danang and Hoi An city and embark one week golf journey to explore Vietnam's top golf destination. 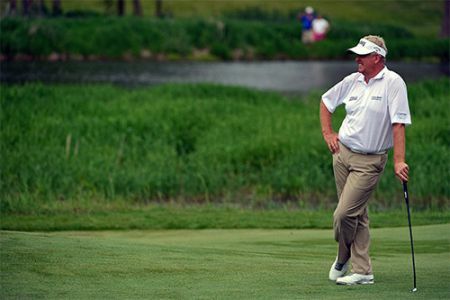 You will experience unforgettable golf games at the country's best golf courses such as Greg Norman design the Dunes Course at BRG Danang Golf Resort, very scenic hilly Ba Na Golf Club and Montgomerie Links Vietnam - the Asia's one and only design by Colin Montgomerie. Meet friendly people, pamper ultimate beach vacation, capture the vibrant culture are key notes of this 7-day Danang golf week. Explore Hanoi, the capital city of Vietnam and Hai Phong through golf. 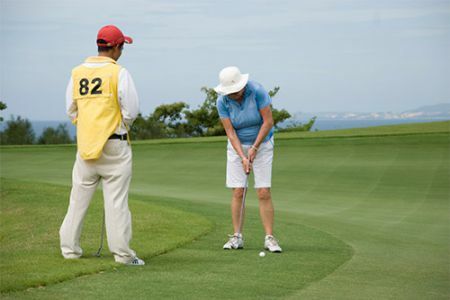 Our 7-day golf week vacation include very best golf courses of two cities has to offer. 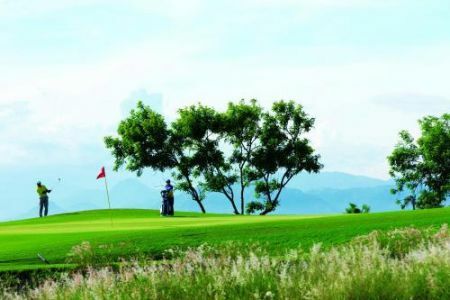 Play at scenic hilly Tam Dao Golf Resort and rest three rounds will be at Long Bien Golf Club, BRG Ruby Tree Golf Resort and Song Gia Golf Resort. Golf in Ho Chi Minh city? Embark on our three day golf break to Ho Chi Minh city and stay two night in centrally located hotel and play 2 rounds of golf at the city's fine golf courses. The tour include all green fees, private caddies at each courses and private transportation with driver throughout. Golf in Hanoi city? 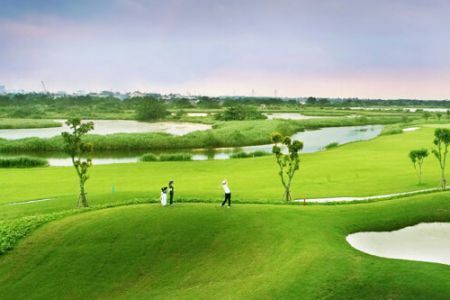 Embark on our three day golf break to Hanoi city and stay two night in centrally located hotel and play 2 rounds of golf at the city's fine golf courses: BRG King's Island golf resort and Long Bien Golf Club. The tour include all green fees, private caddies at each courses and private transportation with driver throughout. Our stay and play golf package at the Laguna Lang Co Resort features 2 nights in very luxurious accommodation with full breakfast and complimentary shuttle service from the airport. 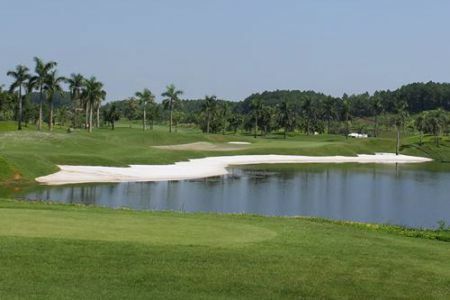 You will also play 2 rounds of golf at the Nick Faldo designed Laguna Golf Course right next door. Golf in Nha Trang city? Embark on our three day golf break to Nha Trang city and stay two night in centrally located hotel and play 2 rounds of golf at the city's fine golf courses - Vinpearl Golf Resort and Diamond Bay Golf Resort & Villas. The tour include all green fees, private caddies at each courses and private transportation with driver throughout. 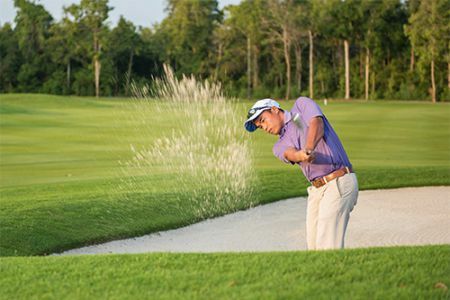 One of the most popular stay and play packages in Ho Chi Minh city is Ho Tram's 3 days and 2 nights and you will play 2 rounds of golf at the Bluffs Ho Tram Strip Golf Club - No. 35 in the latest World 100 Greatest Golf Courses ranking by the Golf Digest. The package offers arguably the best golfing value in the country. 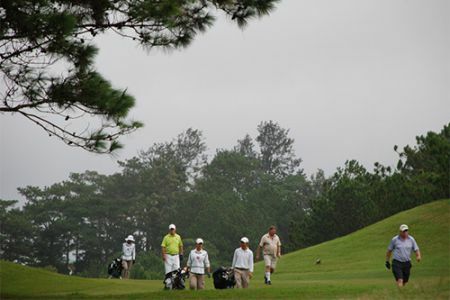 Dalat is a new golf destination in Vietnam that you can not miss. Come join us in the wonderful golf vacation to Dalat and play 2 great courses - Dalat Palace Golf Club and SAM Tuyen Lam Golf Resort. The tour include all green fees, private caddies at each courses and private transportation with driver throughout. Introducing Vietnam best beaches and finest golf for your next golf tour! This package is a perfect example for you to do that. This tour includes unforgettable golf games at five of our best courses in Danang and Nha Trang city - Two Vietnam's top beach and golf destinations. On the tour, your accommodation will be hand-picked with great sense and outstanding service and locations. From tee time to transfers, from dining out advice to cultural sightseeing suggestions - All will be taken care well by AGT's staffs. 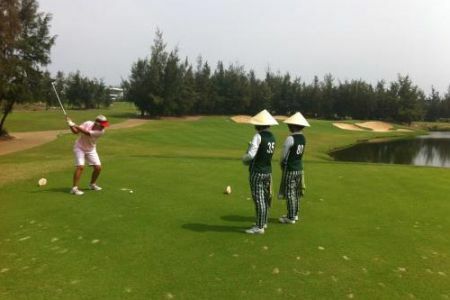 This is indeed the ultimate Vietnam golf tour! With 09 nights to play with, you'll experience the best golf courses in Vietnam as you embark on an in-depth golf journey to two top golf destinations in Vietnam. Arrive in Hanoi city, and spend four nights in Vietnam's vibrant capital. From there, you will fly to Danang to spend 5 nights at fine hotels and play 3 rounds of best golf courses there. Charming and elegant cities, scenic and challenging golf courses, Hanoi and Danang quite literally has it all! 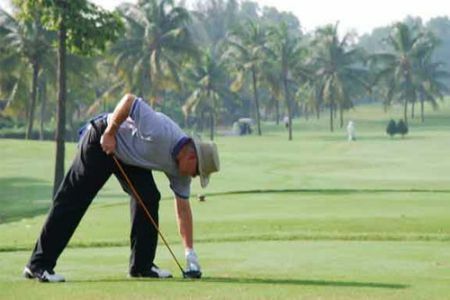 On this 09 night Vietnam golf tour, you'll experience the very best of Saigon in the South, Danang and Hoi An in the Centre of Vietnam, with just enough time to savor each enchanting location you visit, without being rushed. 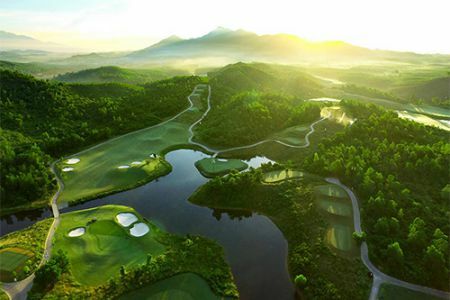 You will stay 4 nights in Saigon and play 3 rounds of golf at the city's finest golf courses, then fly to Danang to spend the rest of 5 nights where you experience three memorable rounds of golf at the famed courses designed by Greg Norman, Colin Montgomerie Links and very scenic and hilly Ba Na Hills Golf Club. Fly home from Danang after a truly spellbinding Saigon and Danang visit! 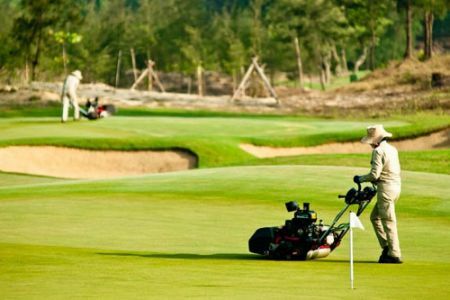 Our 10-day golf experience of Dalat and Danang city cater to golfers of all tastes with options aplenty to compliment Vietnam's finest golf courses. Discover breath-taking landscapes, cool temperature and best beaches and of courses truly wonderful and unforgettable golf rounds at the country's top courses. After 10 day golf tour of Vietnam, return home knowing that you have just had a one-of-a-kind vacation. 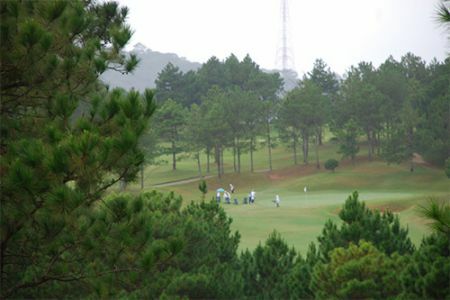 Incorporating the most unique experiences in Vietnam’s top golf destinations of Saigon and Dalat city, the tour features 07 rounds of best golf courses that two cities has to offer, including very scenic Dalat at 1200 Country Club - the private course for members only. The tour is also inclusive of all green fees, private caddies and golf carts. 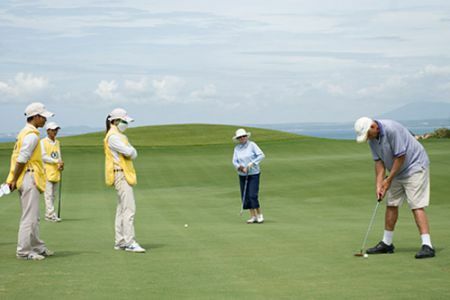 Vietnam golf tour packages can be customized over 10-21 days upon request. Embark on our 7-day golf journey to explore culture and best golf courses of Saigon and Phu Quoc island has to offer. This tour takes in some of the fascinating cities (Ho Chi Minh city) and best beach destination (Phu Quoc island) in Vietnam. Come to Vietnam and experience the best! This tour ten-day golf tour offers a fantastic overview of Northern Vietnam - from unique golf courses to vibrant culture and tradition - and all in just 9 nights! 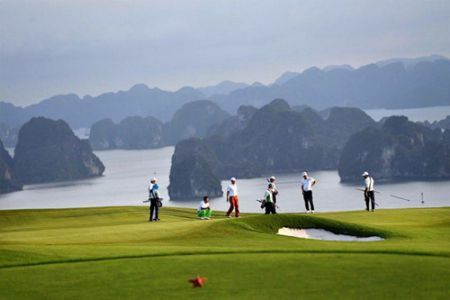 You will play 07 rounds of golf at different golf courses in Hanoi and surrounding areas, embark an interesting day cruise on spectacular Halong Bay. All these experiences will be etched in your memory long after you leave this delightful country. 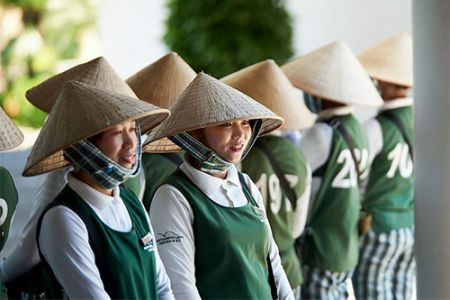 Take in the very best golf of Southern Vietnam over 09 nights - from scenic parkland courses to the world 100 greatest course, from Saigon to Dalat, from colonial hill retreat to beautiful bay city, from delicious street food to exciting nightlife - your varied golf and culture experiences will leave you in awe of this small but impressive city. Book this trip with us now to experience the best! Embark on a wonderful 12-day golf tour of Vietnam from South to North through well appointed golf destinations in Vietnam. 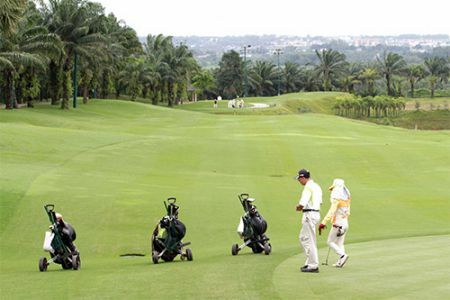 The Vietnam scenic golf tour features 3 major golf destinations of Saigon, Danang and Hanoi. 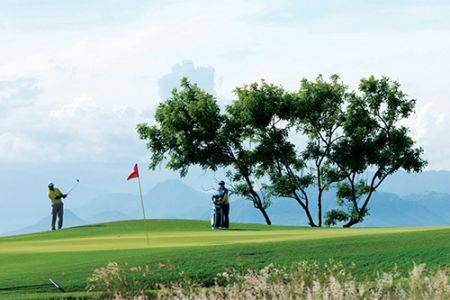 Stay in our hand picked hotel and enjoy 7 rounds of golf at Vietnam's best golf courses. 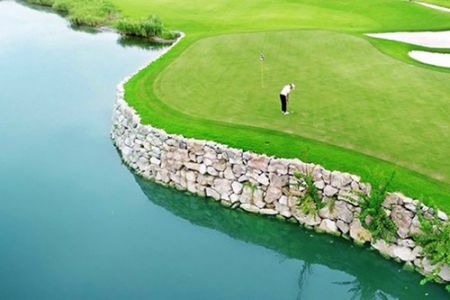 The Vietnam golf trip offers you a lot! On this thirteen-night tour, you'll traverse the length of S-shaped Vietnam - Enjoying your best golf courses and experiencing the best culture of Vietnam from South to North, from bustling Saigon to fascinating Hanoi, taking in the best highlights Vietnam has to offer along the way. Discover the charm of Hoi An ancient town and soak up the history of Saigon - Pearl of the Far East, the famous Halong Bay, and the elegant city of Hanoi. Friendly people, vibrant culture, great golf games and more! 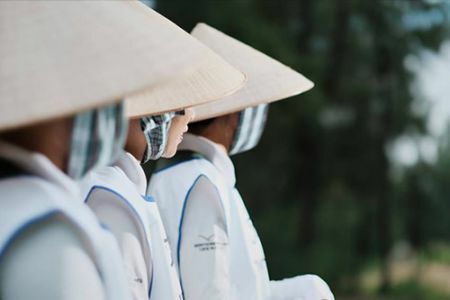 We committed to bring you unique golf and culture experience round Vietnam. Our 21-day Vietnam Golf and Beach Relaxation Tour will delight your senses at every turn! 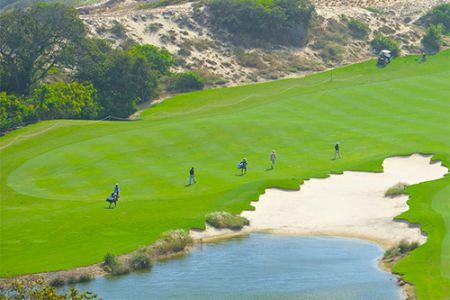 You will enjoy 12 golf games at very best courses in each region while indulging in a wide range of unique and awe-inspiring culture tour activities. Relish culinary experiences such as delicious street food tours, and ultimate cruising experience on Halong Bay. Between ultimate golf games, hand-picked accommodation, and authentic Vietnamese experiences, this tour is sure to bring you lifelong memories! 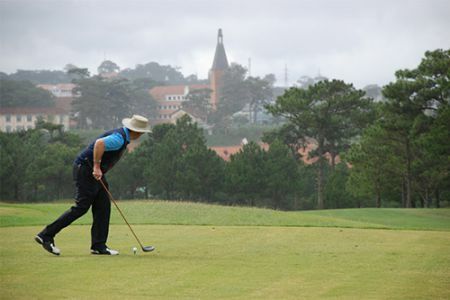 Don't our best valued stay and play golf package in Dalat! Embark on our three day golf break to Dalat city and spend your two night at historic Hotel Du Parc and play 2 rounds of golf at the city's scenic golf courses - Dalat Palace Golf Club and SAM Tuyen Lam Golf Resort. The tour include all green fees, private caddies at each courses and private transportation with driver throughout. 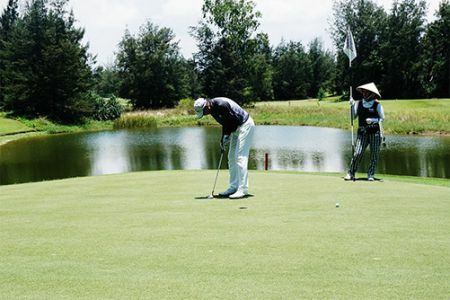 Our comprehensive four day golf break to Dalat city will bring you unforgettable golfing and relaxation experience. 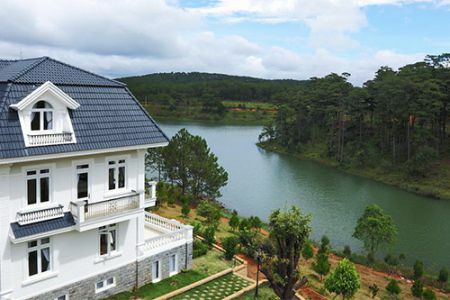 You will stay three nights at Sacom Tuyen Lam Resort & Villas and and play 3 rounds of golf at the city's scenic golf courses - Dalat at 1200 Country Club, Dalat Palace Golf Club and SAM Tuyen Lam Golf Resort. The tour include all green fees, private caddies at each courses and private transportation with driver throughout. Danang and Hoi An are always the top golf destinations for anyone! 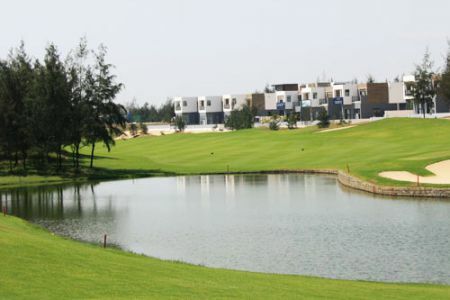 Don’t miss our great stay and play golf package offered by the Montgomerie Links Golf Course. You will spend 3 nights at very luxurious accommodation with complimentary full breakfast and two rounds of golf at the Championship course nearby. Golf in Ho Chi Minh city? Embark on our three day golf break to Chi Minh city and stay two night in centrally located hotel and play 2 rounds of golf at the city's fine golf courses. The tour include all green fees, private caddies at each courses and private transportation with driver throughout. Explore Ho Chi Minh (Saigon) city on a 06 day budget golf tour around the city. You will be playing on the city's best golf courses including Tan Son Nhat Golf Club, Long Thanh Golf Resort, Vietnam Golf & CC, Twin Doves GC. The tour include all green fees, private caddies at each courses and private transportation with driver throughout. Let us create your next holiday to Dalat and Mui Ne - Very exciting destinations in Vietnam. 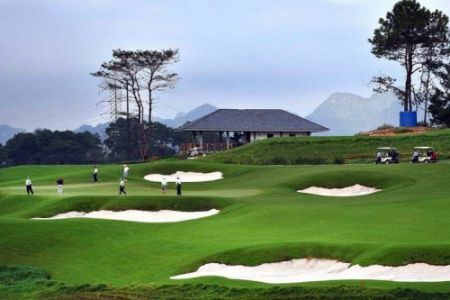 Begin the tour in Dalat where you will play 3 rounds of golf at very scenic golf courses, then travel down hill to Mui Ne - a famous beach destination in the South Vietnam. Your last game will be at Sea Links Mui Ne Country Club - One of Asia's most challenging links course. 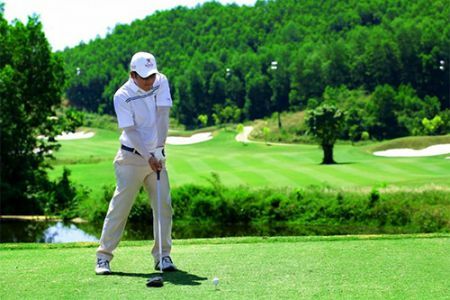 This 8-night private golf tour provides you the perfect opportunities to get experience the best golf courses in Vietnam has to offer; from the gorgeous scenery of Dalat at 1200 Country Club, historic Dalat Palace Golf Club, to the breath-taking Vinpearl Golf Resort overlooking the East Sea. Your journey will begin in Dalat city and after three rounds of golf there you will head back to Nha Trang for five nights with 2 rounds of golf. The tour includes all green fees, private caddies and golf carts. Explore the central region of Vietnam with beautiful landscapes, rich culture as well as top championship golf courses will bring you unforgettable experiences. Our eight-day golf journey is the perfect retreat for someone who is serious about golfing. 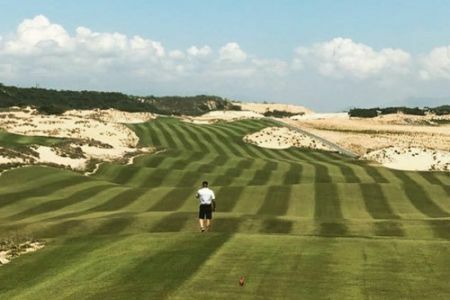 This tour takes you to 5 of Danang, Hue and Hoi An’s most played links and parkland courses, including the Dunes Course at BRG Danang Golf Resort, Laguna Lang Co, Montgomerie Links, Ba Na Hills Golf Club and Vinpearl Golf Nam Hoi An. 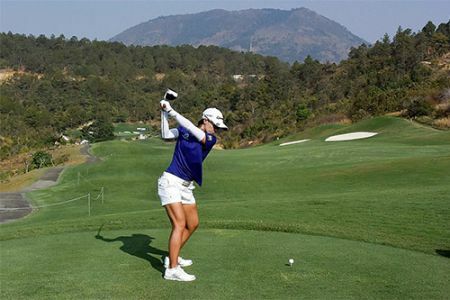 If you enjoy combining your love of golf with a passion for travel, you’ll find a lot to like about this private golf holiday to Northern Vietnam 12-day golf and culture experience. 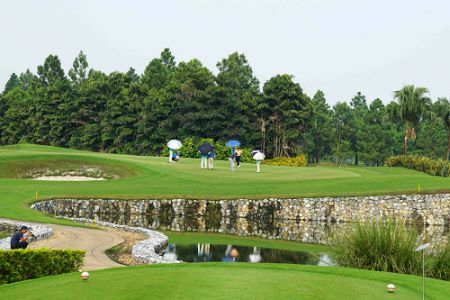 You begin in the beautiful city of Hanoi to enjoy 4 nights and three rounds of golf. After your first two games in a row, you will spend your next day at leisure or will enjoy the comprehensive city orientation to visit the city's major places of interests. 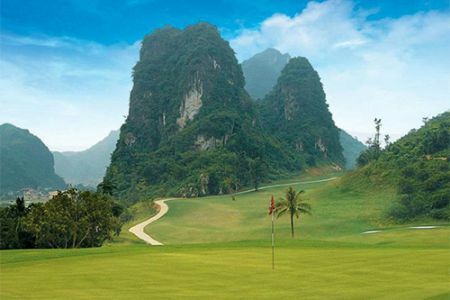 You will travel to Ninh Binh and play another round at the exclusive private golf course, scenic, challenging but memorable course.. Discerning travelers and avid golfers are always wishing to experience the ultimate in true Asian hospitality need look no further! 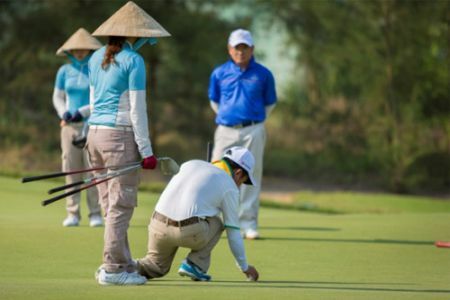 Our 17-day Vietnam golf and cultural experience incorporates the perfect mix of fantastic golf courses and unique culture of Vietnam. This tour will take you to explore everything from North to South, from Hanoi to Danang and Hoi An, from beach city of Nha Trang and to highland retreat of Dalat and bustling metropolis of Saigon. 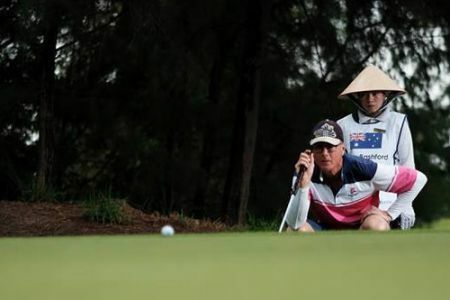 If you seek the ultimate from your Vietnam golf vacation, then this is quite likely the tour for you! This luxurious 5 day golf holiday to Ho Chi Minh include 4 night stay in the charming Hotel des Arts Saigon Hotel and 3 golf courses which are considered to be the best in the city. Hotel and golf choices have been selected to offer a experience that is second to none. Golf in Nha Trang city and book your luxurious Evason Ana Mandara Stay-and-Play package which includes golf and accommodations at a special rate. You will spend 4 night accommodation at Evason Ana Mandara - a Nha Trang’s only beachfront resort and you will play 03 rounds of golf with your private caddies at 03 different golf courses - Vinpearl Golf Nha Trang, Diamond Bay Golf Resort and a Grag Norman designed KN Golf Links Cam Ranh. This exclusive four-night golf vacation package to Danang includes 4 night stay at luxurious 5-star Hyatt Regency Danang Beach Resort & Spa and you will experience three rounds of golf at the country's famed golf courses - BRG Danang Golf Resort, Ba Na Hills Golf Club and scenic Montgomerie Links. The trip has a lot to offer you! 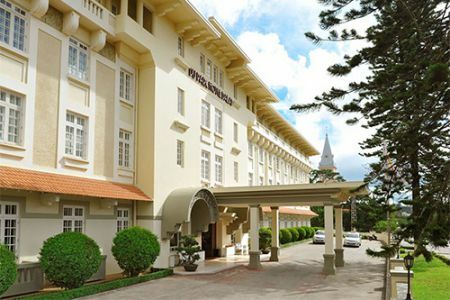 Stay in style at the historic 5 star Dalat Palace Heritage Hotel and play 3 rounds of golf at the very best golf courses - Dalat Palace Golf Club, SAM Tuyen Lam Golf Resort and very scenic Dalat at 1200 Country Club. This exclusive 4-night package also includes private transportation throughout. Embark on our seven-day luxury golf journey to explore Hanoi and surrounding areas including Halong Bay. You will stay in 5 star Sofitel Legend Metropole Hotel in Hanoi and experience 3 finest golf courses here. You will also enjoy intimate cruise experience on the luxurious Paradise Cruise. Come along and experience the diverse culture, dramatic scenery, rich history and majestic architecture and great golf Vietnam has to offer. 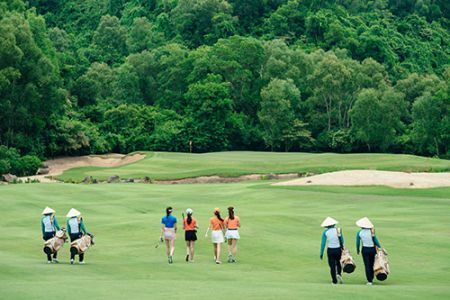 Go golfing to Vietnam and experience some of the most intriguing golf rounds and activities Vietnam has to offer on this 14-day tour packed with golf and excursions. You'll stay in the iconic 5-star luxury hotels throughout the tour. 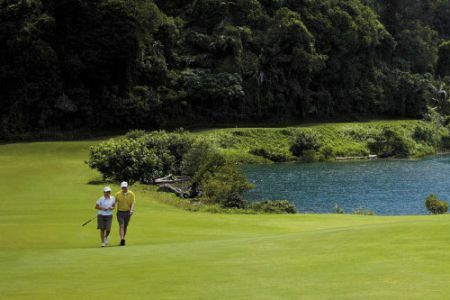 You will also play very truly memorable golf at the country's scenic and finest golf courses which are ranked tops in Asia. 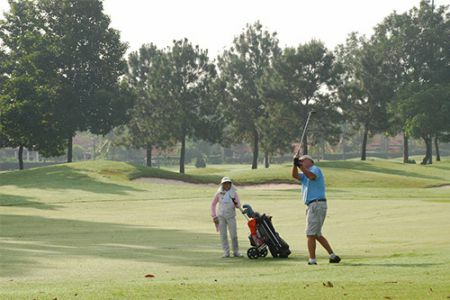 Play ultimate golf rounds and capture the essence of Vietnam, this tour is a great way to savor your golf games and understand more about Vietnam.